You like early access to stuff, right? 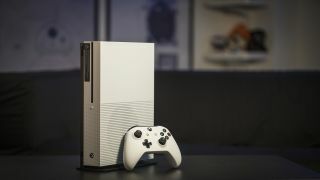 If you own an Xbox One or Xbox One S, Microsoft is about to give you just that. The tech giant is opening up its Xbox Insider Program - formerly the Xbox Preview Program - to every Xbox owner. You'll soon have the chance to try games, apps and other console goodies before non-insiders (take that! - jk, we love you). Joining the program also lets you submit feature requests, ideas and votes to Microsoft directly through your Xbox One, which will help improve the gaming experience for all users. One thing it won't let you see, however, are system updates, as Microsoft is keeping those limited to existing members, at least for now. Microsoft is also bringing improvements to the Xbox Preview Dashboard, starting with a new name of its own: Xbox Insider Hub. The Hub will feature improved personalization, a brand-new UI that makes it easier to find what you're looking for and send feedback, an Xbox Insider profile card, and support for multiple users on a single console to partake in the Insider Program. The changes won't come to everyone all at once, but rather start with a small number of particularly active members. All members will gain access to the Insider Hub over the next few weeks, Microsoft says. If your console is on Instant-on mode and you have automatic updates up and running, the Xbox Insider Hub app will automatically download overnight. The Insider Program is a nice perk for Xbox One owners, letting them try new stuff first while also voicing their opinions to improve the overall experience. It may not sway you to buying a new Xbox, but it gives you something different to try - and the chance to beat your friends to all the good games. Gear up for amazing Black Friday 2016 deals!